By Preston Hatfield (Yamanashi–ken, 2009-10) for JQ magazine. 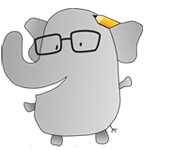 Preston received a BA in English literature with an emphasis in creative writing and a minor in Japanese at the University of California, Davis. After spending an amazing year on JET in Yamanashi, he spent a year writing and interning with book publishing companies in New York. He currently lives in Cupertino, where he continues to cover local Japan–related stories for JQ. This season, Vertical Comics releases two notable titles. The first is She and Her Cat, a story by acclaimed animator Makoto Shinkai, the mastermind behind 5 Centimeters Per Second and Your Name. 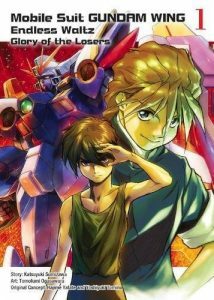 The second is Mobile Suit Gundam Wing: Endless Waltz — Glory of the Losers, a multi-volume adventure starring everyone’s favorite fighting mecha. While very different in style, pacing, and subject matter, each title has a lot to offer its readers. 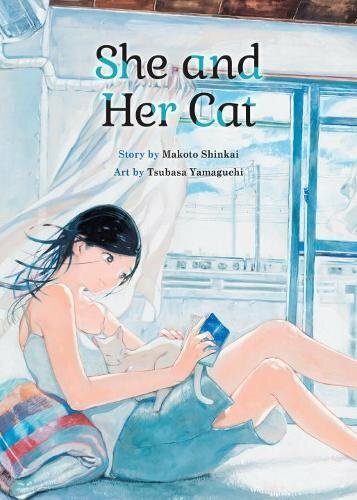 In She and Her Cat, Shinkai does what he does best, using carefully curated imagery to set a somber tone that soothes readers into a quiet, meditative headspace. From there he proceeds to unfold an understated vignette that explores adult depression. This is a timely story, our considering society’s gradual willingness to speak openly about depression and mental health more broadly. Shinkai’s protagonist, Miyu, is a sympathetic introvert who has a hard time asking for or accepting help from others, and she is also her own antagonist, a fact that will likely resonate with readers who have battled depression. 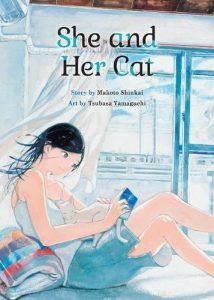 One unique feature about this story, which is also at times strained, is that it is told from the perspective of the protagonist’s cat, Chobi. While some readers may feel that Shinkai could have done more with this story, it is nonetheless well told and tactfully, intelligently handled. By contrast, Glory of the Losers delivers action, explosions, and braggadocio. Based on creator Yoshiyuki Tomino’s classic 1970s giant robot series, the story follows a common trope: In a post-apocalyptic world, humans have broken off into different factions to colonize other planets. But when a central military agency begins annexing free colonies, a small resistance rises in the name of freedom to end their tyranny. This is an enjoyable underdog story that may have particular appeal to middle and high school students. For more information, visit www.vertical-inc.com.